Well I thought I'd post some picts of flowers. 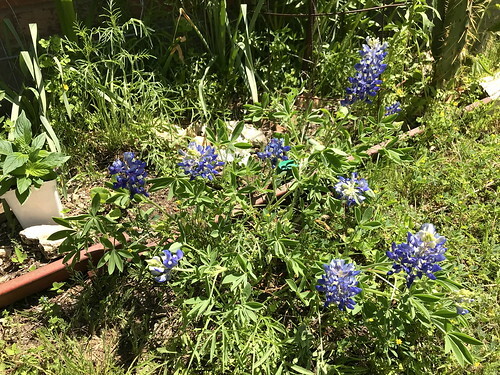 Now my flowerbed is mostly green right now but there are some other flowers around & about. 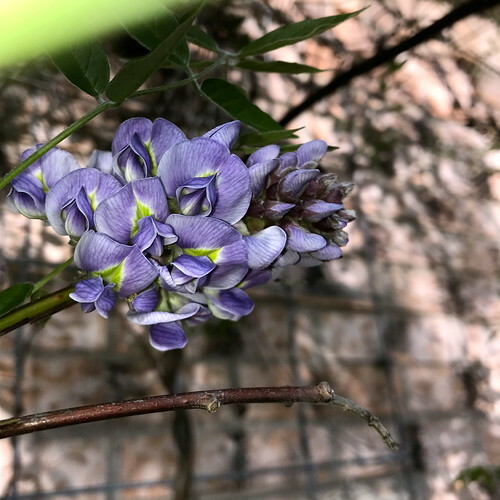 Here is the first bloom on my American Wisteria! 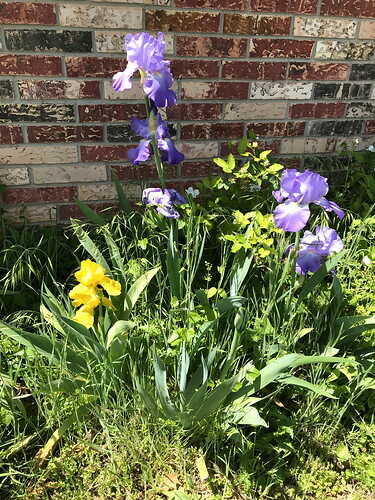 These are DGDad's Irises. 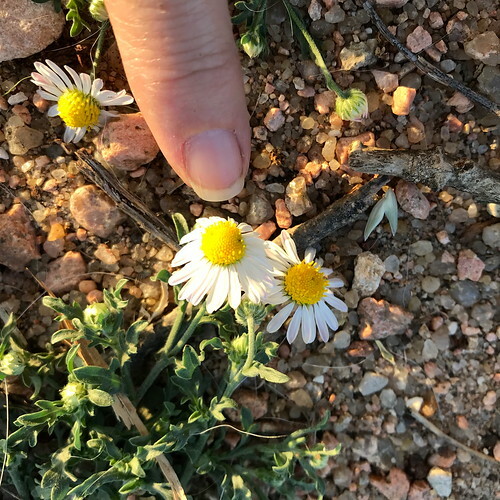 I have done nothing to these except make sure that walking sprinkler, when it is run the down that side of the yard, it is set to water these also. These are Verbinia. They are growing everywhere. 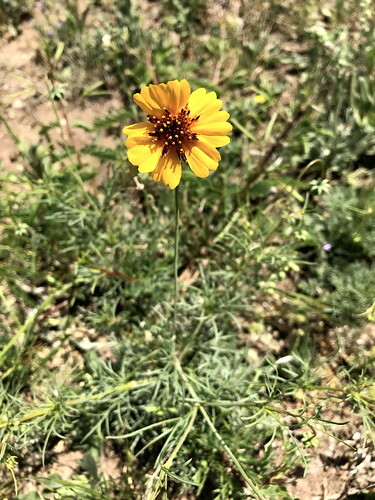 I think these are a wild Cosmos. 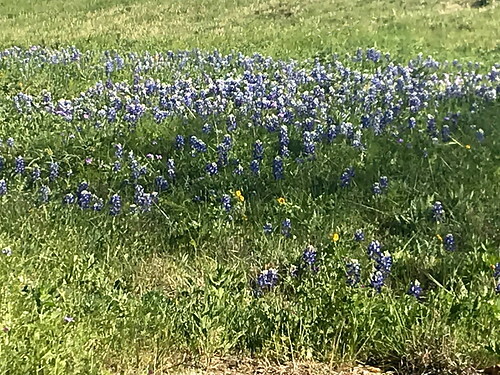 The next ones are Bluebonnets. These are by the boat ramp on Bear Creek. And finally the one by my flowerbed. 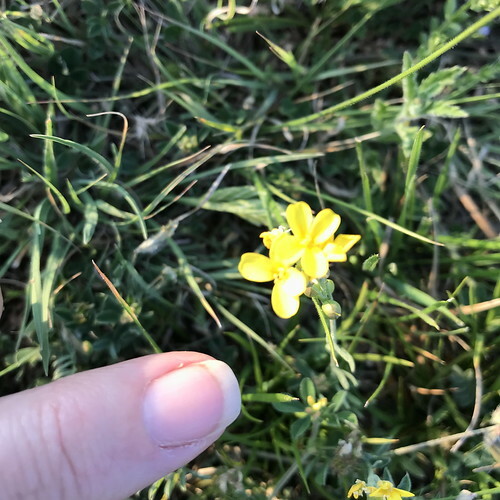 Then the last ones are the tiny flowers ya can't see unless ya walk out in the lots as they are so tiny. 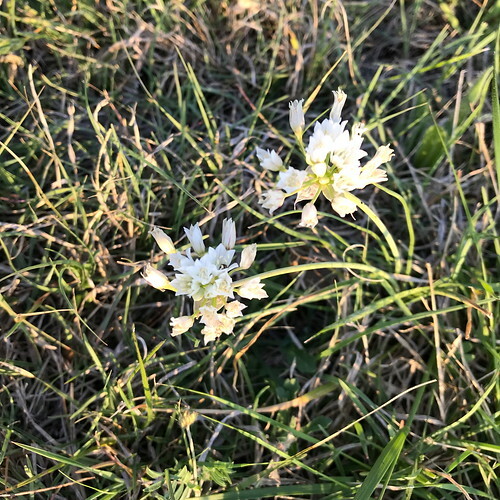 These last 2 are wild onion. I don't know how I missed this one! 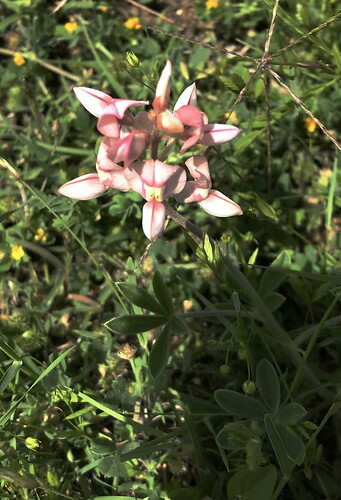 I have a pink Bluebonnet! 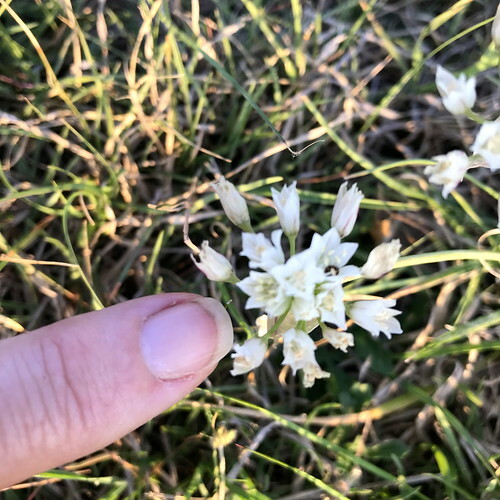 Bev..you are making me anxious for spring in my neck of the woods....our spring wildflowers are different, but none the less beautiful than yours...thanks for sharing your hint of spring! I'm so glad to share my spring w/ya'll. Thanks for sharing, Dublb. Beautiful flowers. 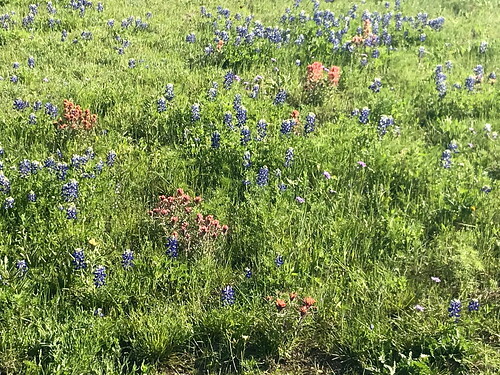 Miss those blue bonnet flowers in Texas. Well, Wednesday will be a long day; I have colonoscopy done ( my 18th one through the years!) and discovered I have hemorrhoids too and that's why I have been stopped up for several days! I get to drink that special cocktail all day tomorrow. I grow big polyps too. So the Dr. will earn his money working on me! Bet he sees a lot of fat cheeks! LOL! I was X-Rayed today and got blood checked today. Maintaining an old model takes some care by others who work all day and reach perfection. At least, I get to sleep through the whole thing. Good luck on Wednesday QNS! That cocktail stuff about does me in. Yuck! Hope you check out well, QNS. You'll just wake up and it will all be over. What a view from your home. 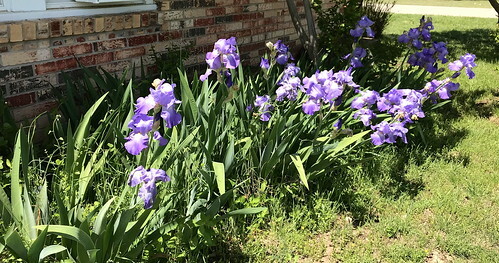 I love Purple Iris, as my GM had them down one whole side of her yard. 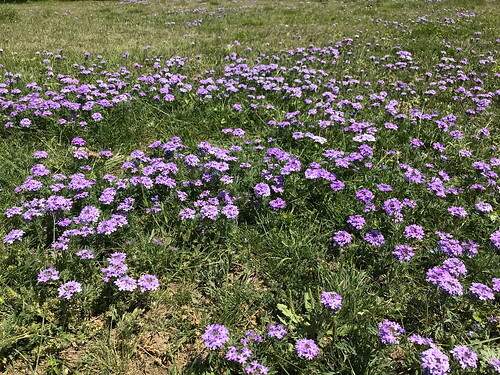 And Verbena is one of my favorite scents. Hey Tucky, good to see ya. I'm glad that ya like my flowers. Well, I am on my liquid diet today. Gvilyte-G Sour, a whole gallon mixed with their lemon flavoring. Drinking with a straw as they recommended at my pharmacy. I added a touch of mint favoring and a dash of ginger ale in each 8 oz glass full. It helps get it down instead of throwing up. LOL. So far, so good, with hours yet to go! 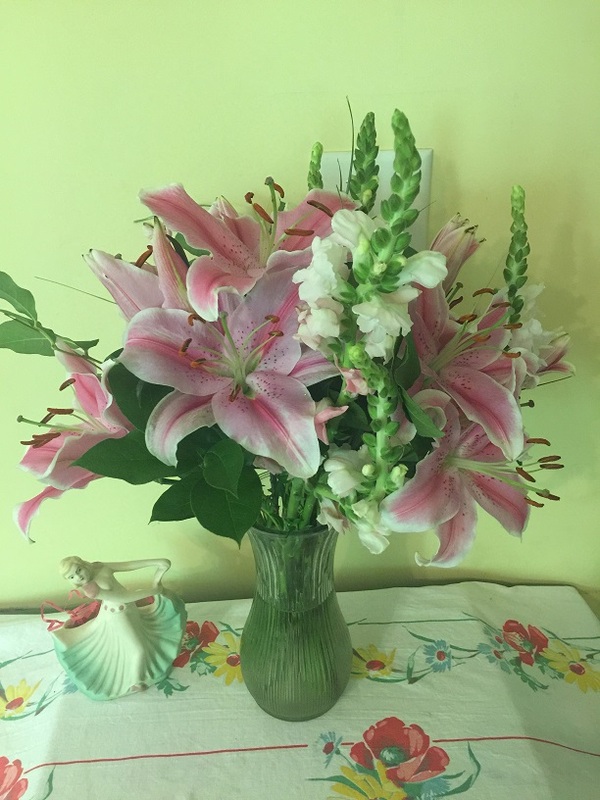 Speaking of flowers, my daughter sent me these beautiful lilies and snap dragons for my birthday. SBG - that is a gorgeous bouquet! Isn’t it? We like to send each other flowers from a company called “Bouqs”. They ship them to you in a box... very fresh and still in the bud. Within a couple of days they open like mine are now. Great company for flowers. They're beautiful! I also love that cloth you have them on. It's so retro!! I've gotten flowers from them as well and they've been beautiful. Thank you! I collect those vintage tablecloths. I just love them. Oh they are beautiful, SBG! I just loooove Star Gazer Lillys! Yesterday was Guild meeting in Brownwood. It was a very fun day. We all ate lunch at The Cotton Patch afterward. Then I was the only one who went to the Sew & Share. The Owner & I had a good time talking while I pressed & cut. She quilted a quilt on the Long Arm. OK we talked between her passes. It is kinda hard to talk while that machine is running. When I left she only needed to make 1 more pass. I am so glad that I took DFGD's Jelly Roll Race quilt that I cut too many times, as she pointed out that the fabrics will match so it is gonna be OK to just sew it straight across once it is squared up. (Don't get carried away when making a Jelly Roll Race quilt & cut it too many times!) So I pressed the seams & then squared up both sides. It did take most of the time I was there to get those seams pressed open. This morning is just beautiful. It is cloudy but not too much. 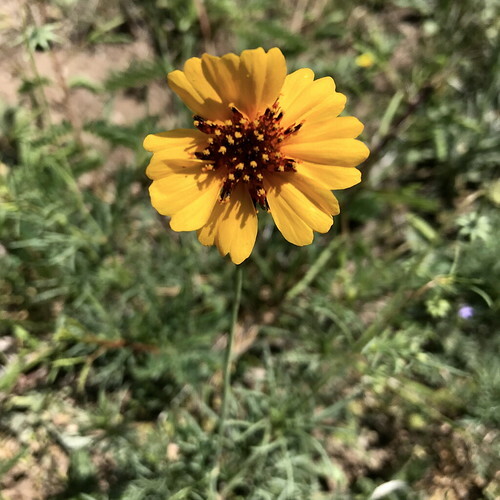 Most of the seeds are up in the shady flower bed in front of the porch, most of the Larkspur are up, the Cosmos are coming up & 2 Morning Glories are up. I do hope it doesn't get too hot before the Larkspur bloom. Some years it does & some years it doesn't. 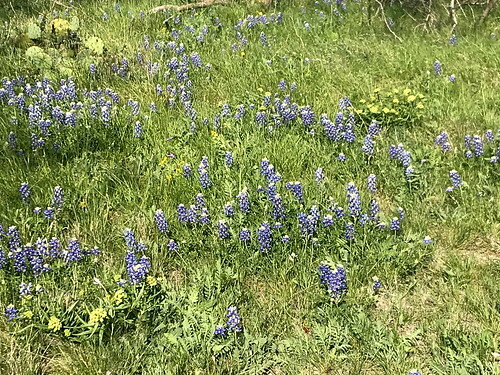 It is better if Larkspur is planted in the fall like the Bluebonnets. 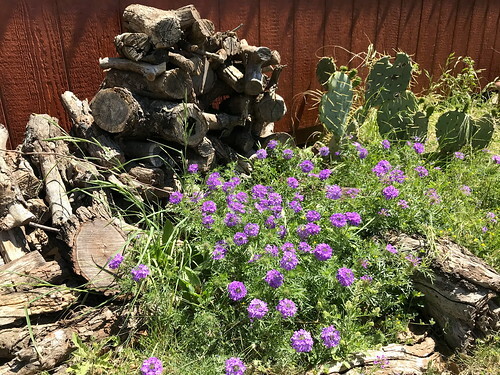 I have been successful a few times planting it in the Spring. I didn't find any last fall when I wanted to plant 'em. I'm thinking of getting DD to pick some more Larkspure seed for me in Fredricksburg this week. That way I will have some this Fall. Well the DGK's are coming this morning so I guess I'd better get a move on. Huggs Sue. I hope it is better tonight. How are you doing, Sue? Your ordeal should be over now. Hope all went well. LOL,Susie. My daughter has some dishcloths in her kitchen that are for display only, and then the real ones you can use in a drawer. Her hubby does most of the cooking, so she’s trained him which are which! I have some that I made which are hand embroidered with vintage designs... dancing tea pots, etc. I don’t put them out much, but I should. I thought I had posted. Results will be known on Monday, but there was a tumor that probably is cancer. Have good cancer insurance. I am in the high risk group, so I am not shocked by the word 'cancer'. One day at a time. Better get myself sewing and finish up some UFOs. Yes, I enjoyed the pictures of flower, too. Love them. Will be praying it is *not* cancer, QNS!